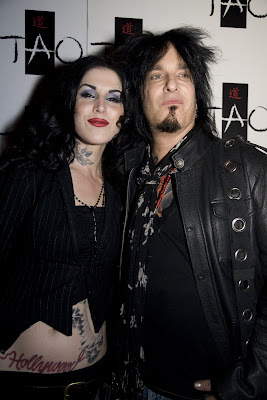 TAO GROUP BLOG TAO NIGHTCLUB LAVO NIGHTCLUB TAO BEACH LAS VEGAS: KAT VON D BOOK RELEASE PARTY AT TAO! Celebrated tattoo artist and star of LA Ink Kat Von D heralded the launch of her new book High Voltage Tattoo at TAO last night. 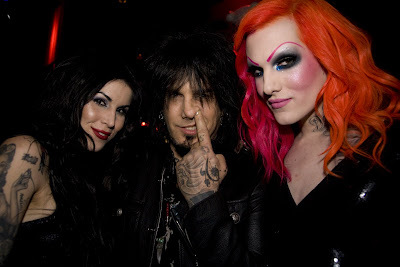 The gregarious and gorgeous Kat posed on the red carpet with a copy of her new tome, her boyfriend Nikki Sixx of Mötley Crüe, and her friend, My Space sensation and transgender make-up artist Jeffree Star. The group then headed into the Asian bistro for dinner where they were joined by her dad, sister and Nikki’s son. Throughout the meal Kat stopped to take photos and sign copies of the book that fans brought by the table. After dinner she moved to a table filled with friends and rockers on the dance floor in the nightclub where the shout outs and sounds of DJ Five amped the crowd. 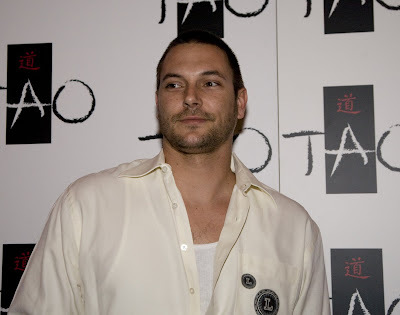 Also visiting TAO on Thursday was Kevin Federline. Kevin dined with friends before heading to a table in nightclub near Kat Von D stocked with Grey Goose and Jack Daniels. He danced with friends throughout the night to sounds provided by DJ Five.